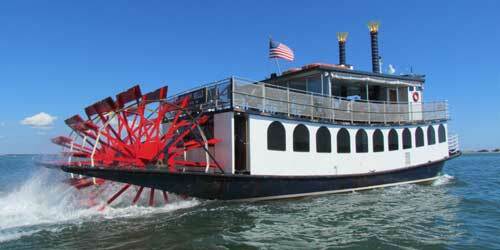 Ferry travel from mainland Massachusetts to locations on Cape Cod, Martha's Vineyard, Nantucket and elsewhere is a handy and inexpensive way to visit these vacation treasures. Ferries stay busy especially during the summer but many also operate in the winter. Some allow cars and trucks. Departing and arriving on a ferry is a fun excursion all by itself. Take the express ferry between Plymouth Harbor and Provincetown and get there in half the time it takes by car. Your ship is under supervision of a licensed captain using the latest marine navigational and communications equipment and inspected by the US Coast Guard. Every creature comfort is aboard from the spacious sundeck, a complete galley with food and beverage service, to the fully enclosed cabin for cooler and wetter sails. 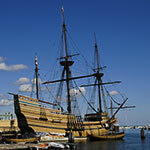 A narrated tour of historic Plymouth Harbor starts your journey followed by a fast, comfortable ride across Cape Cod Bay. With the extra time you saved, explore Provincetown’s unique shops, fabulous restaurants and galleries filled with the work of Capes Cod’s renowned artists. Then head out to the National Seashore and spend the afternoon relaxing and exploring this sandy paradise. Spend the day in Provincetown - getting there is easy and so much fun when you travel on the Captain John Boats Fast Ferry from Plymouth to Provincetown. 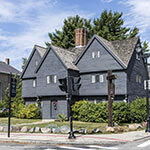 Enjoy view of historic Plymouth Harbor and Cape Cod Bay. There’s so much to do once you dock at MacMillian Wharf in Provincetown: Pilgrim Monument, Lighthouses, Dune Tours, Bike Tours, Beaches, Art Galleries, Antique Shops,Restaurants and more! 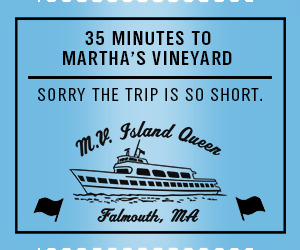 The passenger fast ferry leaves Plymouth at 10:00 am and arrives in Provincetown at 11:30 am. 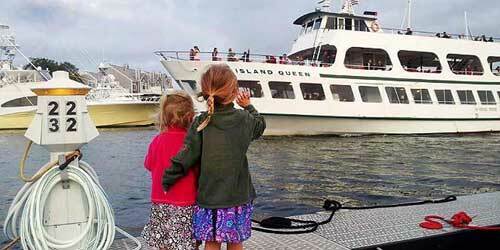 The passenger fast ferry leaves Provincetown at 4:30 pm and arrives back in Plymouth at 6:00 pm. 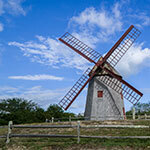 Visit Newport and Block Island on the Ferry! 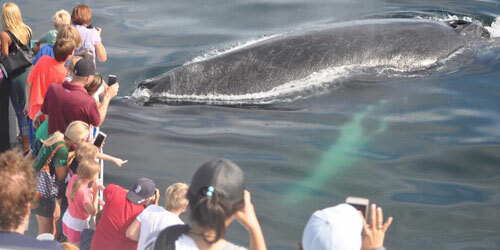 Travelers don't need to choose between visiting Block Island and Newport this summer! 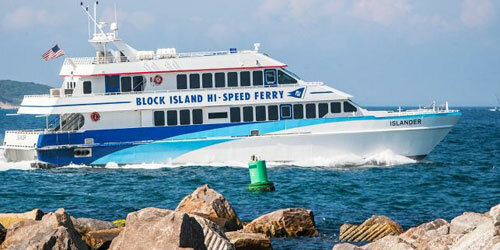 The Block Island Ferry has added hi-speed ferry service from Fall River, MA to Newport, RI that moves on to Block Island. Glide comfortably through the water while you enjoy a treat from the snack bar as you head to Newport. 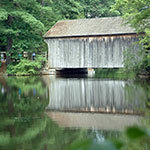 Choose to hop off there and visit magnificent mansions, dine by the water or stroll around town. Stay on the boat, and move on to Block Island where the shopping, dining and beaches give you a taste of easy-going island life. Will it be Newport, Block Island or both? Check our website for schedules, ticket purchases and reservations. Boston Harbor Islands National and State Park includes 34 islands and mainland parks. 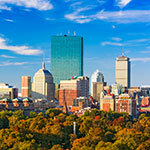 The islands in Boston Harbor are accessible by ferry from wharves in downtown Boston and Hingham. Park is open mid-May to early October. 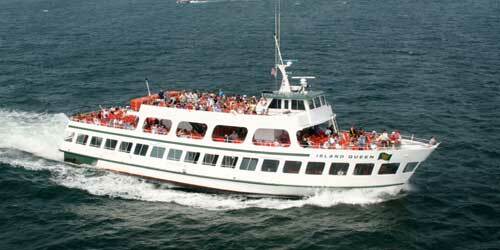 Ferries run from Boston to Georges Island, Boston to Spectacle Islands, and Hingham to Georges Island. Ferry service runs from mid-May to early October, but the schedule is divided into spring, summer and fall sections. Service between Salem Wharf at Blaney Street and Long Wharf North in Boston The trip, which takes 55 minutes aboard the high-speed catamaran,Nathaniel Bowditch, is relaxing, fun and informative. Cruise directors provide narration about Salem, Marblehead, and Boston harbors. Snacks and beverages for sale. Rest rooms on board. Daily service operates June 11 to October 31, 2011. Schedule and fares at www.salemferry.com.